I've never watched The Bachelor before, but this season Christian is Tivo-ing it because his friend's ex-wife is one of the contestants. I suppose that might be a better reason to not watch it--in solidarity with the ex-husband but everything is really confusing these days because of reality TV and Twitter. It's hard to remember who to support and how to be loyal. I do find it heartening that the bachelor seems to have pretty decent taste in women. He chose spunky, smart, classy women to stay for the second week. Of course, one might question my use of the word "classy" in this context. 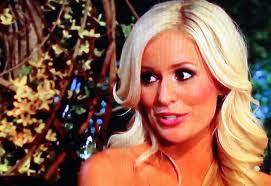 Nevertheless, I think I would be in love with Emily if I were the bachelor. She's just like a blond Lyla Garrity. (I know. RIGHT?) She has the appeal of Dolly Parton and the charm of Loretta Lynne. She's not my type in real life but in real life I'm not a man on The Bachelor. If I were a man on The Bachelor I'm quite certain I would "love" the prettiest one. Apparently a lot of women on The Bachelor think he will love the easiest one but if The Bachelor has taught us anything, it has taught us that there's no need to buy the milk when you are getting it for free. In this metaphor I forget what "buying the milk" means but I do remember that "getting it for free" means lots of tight hugs in swimming suits! As I was saying, if I were the bachelor I wouldn't like that Emily already has a daughter but if I were the bachelor I would be too embarrassed to admit that her daughter was a turn- off because it would really make me look like a jerk so I would choose her to prove that I wasn't a jerk and that I love kids. That's just one way reality TV keeps it real. May the best man win! The other thing I've noticed while watching the bachelor is that it is really long. Incredibly long--longer than most movies. This is great because so much keeps happening. It's like, as long as they are filming things keep happening. If it weren't so long it would probably be a real nightmare to edit. All I know is that you can't edit love--true love, that is. To quote Rachel who, sadly, went home this week in spite of forgetting to wear pants on her date, "I hardly ever cry!" Kacy, it makes me feel awful, too. I'm trying to watch it this season but it might be the hardest thing I've ever done. Hyperbole is my strong suit. Hang in there! We've been promised that it will be the most dramatic season ever! Uh oh. I think you mean RAICHEL hardly ever cries. P.S. Maybe you should start watching "The Mormon Bachelor." It's only season 2 and it won't make you feel awful. But I would watch it, too, if one of the contestants was my husband's friend's ex-wife. Totally. So i have watched a little this season (I heard about a girl from SLC on), and its like a train wreck, you can't help but watch. But im not going ot lie, if Emily gets the boot, im done. I agree she would be my choice too. And Michelle, well she is just plain CrAzY!!!! I have never watched this show since we have no TV. It makes me feel sort of superior, but mostly I just hate that I never know what anybody is talking about. Which lately seems to be The Bachelor. I can't watch the bachelor. I can't watch the girls throwing themselves at one guy who isn't even worth their time. It makes me wonder if they all want to be models because why else would anyone sign up? Welcome to the Bachelor watching club! As part of your initiation, I will invite you for a night in my hot tub and give you a rose at the end. Ha! "Compelling in the same way a gag reflex is compelling". That is the most eloquent and accurate explanation I have read thus far, in reference to "the Bachelor". Well, they say life immitates art (if you can call "The Bachelor" art, I prefer to call it "self deprecating trash with a side dish of raging hormones"). Anyway, I don't need to watch the Bachelor, I know enough women who have the unique talent of being desperate and vain at the same time- it's quite the juxtaposition. I just feel so sad for all the beautiful people who need "15 minutes" of fame to feel good about themselves. You made me laugh so hard I snorted and almost wet my pants. And you almost made me want to tune in to see how long it really is. I love Emily. But I hate Lyla Garrity. So now I'm confused, Kacy. We might just have to agree to disagree on this one. The show is in its 20th or something season because people keep watching. Vote with your presence. There are too many other fabulous things you could be doing with your time. loved this post. you make sense of my love/hate relationship with this show. excited to find your blog from design mom. Do you watch Fringe? I miss your lost posts, and I watch Fringe, and I would like it if you wrote about it. Funny take on the show. I've watched a couple of seasons and then gave it up. Too contrived and fake. But I have to admit if I had a connection with someone on the show, it's be hard to resist. So how did the friend's ex fare? Enquiring minds without cable want to know. I just found your blog and I love it! You are so honest and funny :). I don't watch the bachelor, but I watch The Real Housewives of Beverly Hill and it's like a train wreck, it's terrible, but I can't look away! Courtney J. writing for the Deseret News makes me feel awful.